On today’s episode of THE FOOD SEEN, native New Yorker Tarajia Morrell, did everything she could to fly the family coop, but decades later she found herself back in her dad’s 1970’s bachelor pad, turned folk’s matrimonial nest. 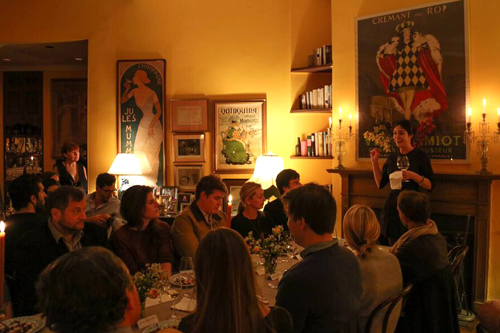 Now, in that same space, she hosts wine salons much in the spirit of her wanderlust soul (which you can read more of her travels in her diary: The Lovage), bringing a cadre of worldly chefs and winemakers into her home. Equipped with a family recipe for an infallible vinaigrette, and a flair for the family business, an entertainer is reborn.